Once you visit Destin, you will find yourself day dreaming about going back again. The shear beauty of the area is the unmistakable draw to this emerald coast city. Over the years, Destin Florida has built itself into one of the best family retreats in the country. Most of the businesses in the area cater to the tourist beach goer and their families. Activities for the young and adult are plentiful. Some will want to simply stay in touch with the area, reminding them of the time they had. But as time goes on, it happens to all of us, we start forming a plan to go back. What shall I see, where will I stay, what activities do we want to do? 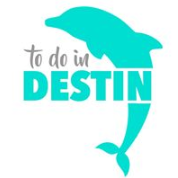 To help you quench your thirst for Destin, I’ll share everything you need to fully explore the life in Destin using the Destin Florida Social Media! Facebook and Instagram have different strengths that provide us benefit in our endeavor to stay in touch with Destin. While I personally frequent Instagram more regularly due to the abundance quick beautiful pictures, Facebook cannot be denied. The Facebook platform allows much better content in that the videos and images can be much larger, it supports panoramic 360 photos, and the group interaction is formatted such that you can quickly get answers to questions like where’s the best place to eat breakfast in Destin in the form of a poll. Yes, you can ask individuals questions on Instagram, but in general on Instagram it takes an awesome picture to stop the scroll. Awesome pictures is what Instagram has, and lots of them. So both platforms will be shared here. If you are doing business in the Destin area you should be visible on all of these accounts as the people posting and reading the social media there are most likely going to be your customers. If possible you should attempt to use these accounts enough to where it becomes social networking and people start following and trusting you for the content you add about the Destin area. As you peruse the list below you may find your thirst for Destin has you drooling a bit! Should you fully indulge yourself with all the information below you may end up fully asphyxiated and addicted to all that Destin has to offer. With that word of caution in front of you, read on! One of the best accounts available for doing just what the title says. Let’s Talk Destin. Anything you want to know about Destin most likely has been discussed here. Members of the group range from frequent travelers to true locals. There are many polls for questions as well as first hand comments justifying opinions. Of course everybody has an opinion, but when you see many going the same way those opinions take on a bit of integrity and trust. I’ve used valuable information from here to support some of my blogs such as “Best Breakfast in Destin“. You will find this group very useful! One of the foremost authorities on the area. 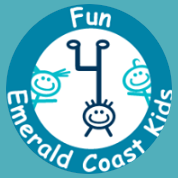 Emerald Coast has substantial content on things to do, places to go, getting to know the area, etc.. They also get some of the best video footage on happenings in the area. You will find many guides as well as a special area dedicated to fishing in Destin on the Emerald Coast site. I see they are working on putting up live cams of the area. If you miss the beaches of Destin and want to see what they look like real time, the cams are awesome! You’re going to want to digest their website content and follow them on Instagram for sure. These two locations bordering the Henderson Park are huge draws to the area. From what I hear, The Henderson is the ultimate in luxury and Henderson Park Inn is the ultimate in Bed & Breakfast. Both are next to The Henderson State park, and many young beach lovers tie the knot at this facility. Doctor’s Orders Beach House has benefited from wedding parties staying at our house as we are very close to these facilities. Henderson State Park is right next to the Crystal Beach area of Destin of which the Doctor’s Orders houses are part of. 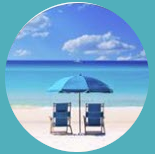 If you are a business in Destin, whether restaurant, hair salon, or Destin Beach House Rentals like DoctorsOrdersDestin, the people that visit The Henderson are the people you want as customers. The spill over for my beach house rental as well as my Instagram following has been very good from this establishment. Think about the times you’ve taken some exotic tourist excursion. While the experience is fabulous, don’t you wonder what it would be like to experience the area like a local instead of the pampered tourist? Don’t get me wrong, the pampered tourist is a great thing, but the true local life is a whole different thing. I believe this is why beach house rentals like ours are so popular, you get to live like a local. 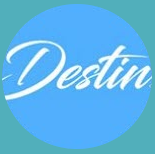 The Destin Life is a nice Facebook group with a focus on all things Destin. Vacation Rental talk, Real Estate, nice media and people asking poll questions. 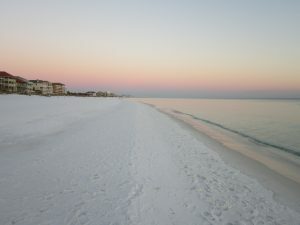 DestinFlorida.com is all about increasing the awareness around the country of the amazing beaches, great people and first class food and attractions that so many people love about Destin. They have great media on the page and will do a free vacation giveaway from time to time. Just a great site that frequently will have wonderful videos and pictures posted up to it. 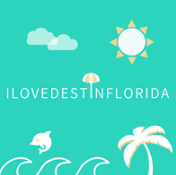 If you are looking for Destin Florida Social Media that shows its love for Destin, this is a must follow and like! Another phenomenal Instagram account with over 30k followers and tons of the most awesome Destin photos available. There a reason why so many followers, you should follow too. 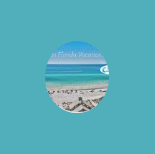 A nice Facebook group centered on Renting Vacation Homes or Condo’s. Much more personal than you typical VRBO or Tripadvisor experience. If you are looking to rent, you may gain some insights here. This Instagram account hosts some of the purest Destin Beach pics you will find. Pretty much every pic will remind you why you love Destin! 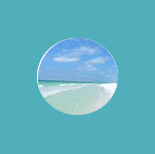 Nice Facebook page that aims to connect locals and tourists to amazing businesses and events happening in and around the Destin area. A must follow page. Great videos and pictures about things happening in Destin Florida! This Instagram hastag has over 1000 wonderful Destin Feature images. 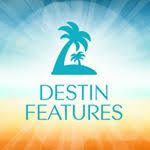 Be sure to Follow #destin_features to get your feed filled with wonderful images of Destin beauty! 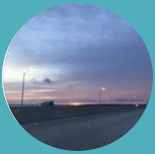 Destin Features fee will show you unbelievable beach, water, and sunset photos shared by locals and visitors. 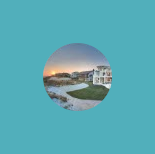 Another nice Instagram site to follow to get your feed filled with wonderful images of Destin and other areas of Florida. Not exclusively for Destonions, but great for those saying gimme more white sand beach! 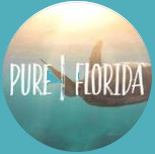 With 165k following the account and nearly a half million posts to the #PureFlorida hashtag. A great Instagram hashtag to follow to get your feed filled with wonderful images of Destin and other areas of Florida. Not exclusively for Destonions, but great for those saying gimme more white sand beach! This hashtag has nearly 200k wonderful posts! Great Facebook page and website that focus on the Kids activities while you are in the Destin area! If you really need to feel like you at the beach, this is the site for you. This is the mother of all beach cam sites. They have live cams all over the Destin area. The Crab Trap in Destin sits on the James Lee Park public beach and is just 300 feet from the DoctorsOrdersDestin private beach area. If you want to know what our beach weather is, pull up the Crab Trap Destin cam. Thanks for considering our Top 15 Destin Florida Social Media Accounts.